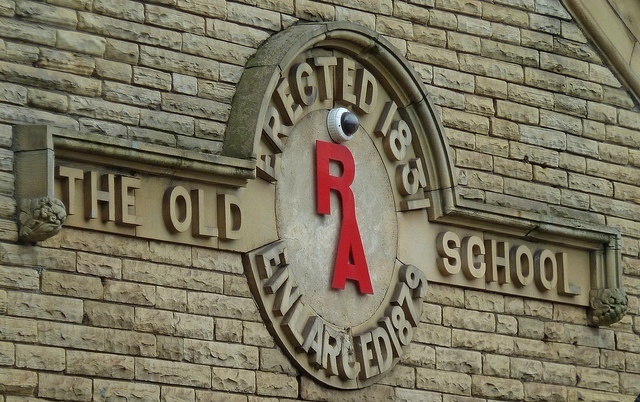 In today’s post, we want to challenge some old school thinking around Accounts Payable software. One of the prevalent thoughts that has held sway over the entire AP automation industry is really a focus on core invoice processing. By this I mean that the focus for Accounts Payable software has typically been oriented around streamlining process and expediting process cycles and data accuracy. While we certainly won’t contend that these are out of fashion, we want to elevate the nature of the conversation to the many potentialities that a cutting edge AP automation approach will deliver. It’s not that the former thinking is bad at all… in fact, it’s a great start, but just as many things evolve over time, it’s time consider some implications that today’s technology can bring to bear in your business. Dynamic visibility - This is a big deal and unfortunately not all businesses grasp what’s at stake with respect to this point which is why we want to bring it into the light here. Certainly, the ability to be able to call up an invoice from a search perspective has myriad advantages over antiquated paper storage and retrieval methods. This is not rocket science either. Simply ask any member of an Accounts Payable department what life is like when the auditors come calling and they’ll probably offer to buy you a bottle of suds and tell you their woes. The fact is no one likes to be someone’s lackey or Smee, and without fail many AP staff are subject to this type of existence when the retrieval process for invoices is onerous. Enter solid Accounts Payable software and this issue disappears like the morning dew. However, having access to data in real time, not just archival, affords the opportunity for data driven business outcomes. As an example, surfacing invoices with eligible discounts as part of your daily processing queue, will empower an AP organization to function more strategically, execute payment, and pocket the savings generated through an early payment discount. Absent dynamic visibility AP staff are less empowered to impact their business in as positive a way. Payment execution - Certainly front end invoice processing is the ideal in terms of AP automation. Who can argue with divesting themselves of copious and error prone data entry in favor of accurate data throughput without the need for keystrokes? While that is a great start, and one that only about 40% of the corporate landscape has undertaken we might add albeit surprisingly, to get to the next level savvy finance leaders are integrating optimized payment execution into their AP automation approach. Instead of integrating multiple modules of disparate technology providers, a one-stop shop approach is becoming increasingly utilized. As an example state of the art Accounts Payable software can seamlessly handle both the front end invoice processing and the execution of payment across a variety of payment types to include ePayments like ACH, virtual card, wire and traditional payment types like check. This becomes a boon to the processing flow and the invoice cycle time part of the narrative, but the real kicker is found through monetizing the payment stream via the aforesaid ePayment method that is virtual card processing. By this means, corporations can tap their AP spend in a new found, sustainable, and low resource requirement way that becomes a spigot of profitability in what is usually a cost generating quagmire, and while this may be news to you, it’s certainly something executives who are trying to steward the bottom line are sure to be happy about. Mobile empowerment - In keeping with the idea of getting the most productivity out of your workforce, modern renditions on Accounts Payable software have the invaluable integration of mobile technology. This is also an imperative not only from a search and retrieval standpoint, but also from a workflow escalation and payment execution capacity. Lost time translates to lost opportunity and if inefficient processing impedes your ability to capture payment discounts or causes you to bear late fees, then something must be done. To our thinking, one of those somethings is to harness mobility instead of shifting blame to someone being out of the office as the reason something didn’t get processed. Combined with intelligent workflows and delegation, astute AP leaders can mimic internal business rules driving opportunities for positive business outcomes forward at record pace. We hope you found this insightful and welcome you to continue learning and growing as we tackle all manner of things Accounts Payable process related! If you enjoyed this, give us a like and a share! 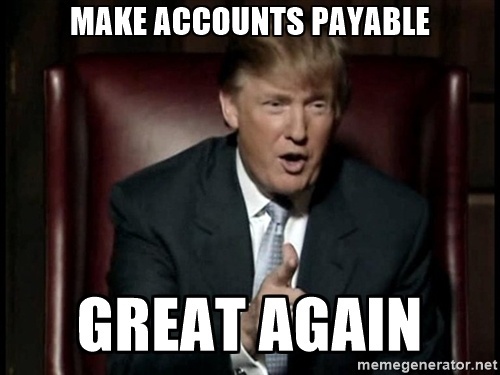 In the spirit of the wild ride that has been the election cycle of 2016 and now Inauguration Day 2017, we are on a quest to make Accounts Payable great again. Not that Accounts Payable has ever been not great, but it certainly has been challenged by tedious processes, inefficiencies, risks of all kinds, and costs abundant. We say no more and that a new era in AP is possible through the synthesis of multiple technologies and novel approaches to AP automation that are afforded to businesses of all sizes, from micro to enterprise level. In our travels, we’ve encountered many differing opinions as to the best approach to improving this cumbersome transactional area, and while no solution is one size fits all, we do believe that a comprehensive AP invoice processing automation initiative is the healthiest way for most companies to transform this area of their business. Certainly approaches like EDI and e-Invoicing are meritorious and noteworthy, but present significant implementation, support, and vendor onboarding challenges that are non-starters to most companies. Without governmental mandates to adopt said approaches, our assessment of the future of this space is that they will continue to stagnate in terms of adoption, as businesses seek more user friendly, rapidly deployable, and cost effective approaches to automate. With that said, PYMNTS.COM released an article titled Mastercard’s Four Pillars of B2B Payments Innovation and cited Sachin Mehra, Group Executive of Global Commercial Products at Mastercard. He had some interesting thoughts on identifying the four pillars that businesses need to solve for via corporate payments and they include: “working capital, data, more control and/or a more efficient process”. We couldn’t agree more. With that being said, this has been the focus of CloudXsince our inception in 2011. Our primary aim was to bolster and streamline AP in ways that were previously unattainable due to cost and resource constraints that most companies face (especially the small and mid market space). While this mission continues, there is so much more to mine out of what’s understood as the AP invoice processing cycle. While our focus is unchanged in terms of the front end functions that need to happen to expedite how invoices are processed, what happens on the payment side can be a complete boon to your organizationand intertwines with Mr. Mehra’s comments. We believe an efficient process dovetails with an effective and secure ePayment approach. Not only that, but it drives profits back to your bottom line, and for this reason needs to be considered by any forward thinking Financial leader. To the other points, we further agree and think that data is completely underutilized in AP, primarily in manual environments. 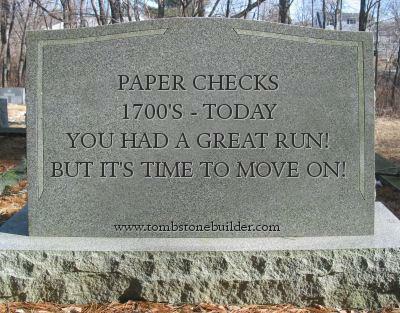 This has to do with a more reactionary approach due to the crushing requirements of manual data entry and human validation that occur. When this burden is lifted via AP automation, you flip the script on the entire situation and can get yourself into a position where you then tap the data to drive the process. This can include internal workflow automations to expedite approvals, processing, and even payment type. By doing this, you not only create the financial windfall associated with virtual card rebates, but you also empower your staff to focus on other higher order activities. We’ve seen numerous clients transition AP staff into analytical and special project roles that they’ve always been wanting to execute but never able to achieve without automation. So the question for you is, what problems are you solving for in AP this year and how will you make it great again?